TechBrite’s LED Choice Flat Panel is the obvious choice for an architectural grade office fixture. 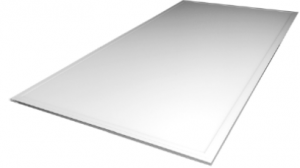 Designed to be installed in an acoustical tile ceiling, panels can also be surface mounted. Achieve 125 LPW in the most efficient models, complete with 5 year warranty. The TechBrite LED Choice Flat Panel is the perfect solution for retrofitting existing spaces or new construction.